SAGE Publishing and the University of Essex held a joint session discussing big data research, and highlighting the increased importance for social scientists to develop their programming skills to better help with the analysis of complex and increasingly large data-sets. 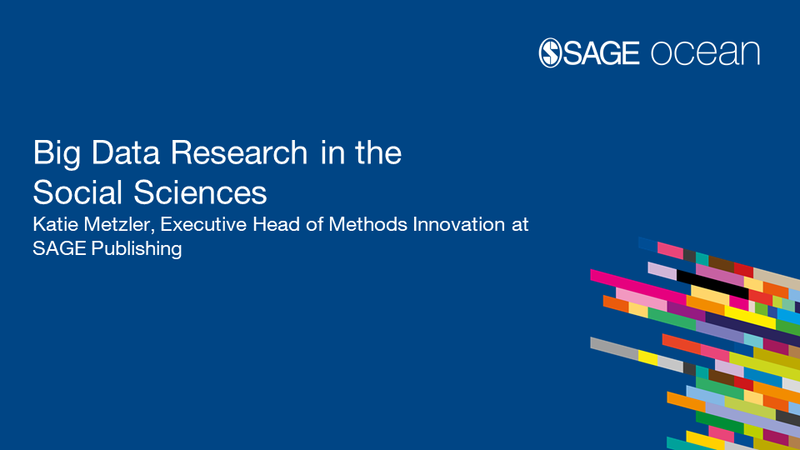 You can access Katie Metzler's (Executive Head of Methods Innovation at SAGE Publishing) slides from the session here. The original version of this post was written by Dr. Janet Salmons and appears as part of the e-festivals highlight series on MethodSpace.